GAF assisted a Seattle bakery purchase a new facility to increase its manufacturing capabilities to meet the ever growing demand for its cookies. In 1988, David Saulnier, the future owner of Cougar Mountain Baking Company, created his first batch of chocolate chip cookies, from scratch, in his kitchen at home. He started out as nothing more than a college student craving fresh-baked cookies. Not having any prior baking experience, he used a recipe from the back of a bag of chocolate chips. Although these cookies tasted fine, David wasn’t satisfied. Just for fun, he began trying variations of the quantity and type of ingredients he used. He had struck upon the ideal recipe. When David’s friends and relatives tasted the cookies, they loved them and suggested that he should market them. He decided they might be right. Having been interested from an early age, in starting a business of his own he had finally come across an idea that he liked. So, in between his studies at the University of Washington (an English major, not Business) and delivering pizza in the evenings, he spent the next 5 months doing research about starting his own bakery and marketing the cookies. 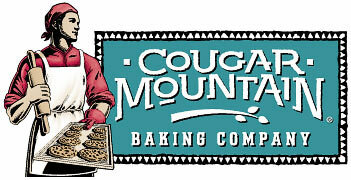 And so in July of 1988, at the age of 20, David started Cougar Mountain Baking Company (CMBC). CMBC is now based near the Magnolia Fisherman’s Terminal area of Seattle, just a short walk from the famous Hiram S. Chittenden Locks, in a 6,000 square foot building with state-of-the-art equipment. GAF assisted it with purchasing additional space to house the Cougar Mountain products. The acquisition cost $975,000 and GAF funded $75,000 in small improvements to get the place suitable for the company’s needs. GAF provided $877,500 to acquire the building, $75,000 in improvement costs and an estimated $52,500 in soft in closing costs for a loan of $1,005,000. Amortized and termed over 25 years, this loan possesses a fixed rate of 2% for the first three years becoming prime plus 1 (currently 5%) starting in year four. The owner, David Saulnier and his wife supplied the remaining $97,500 in equity required for acquisition.